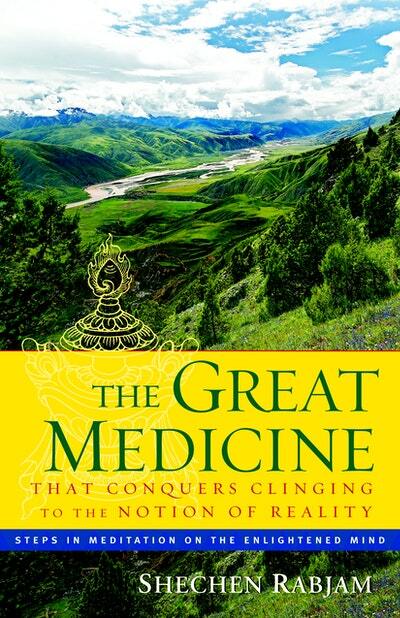 In these inspiring teachings on how to open the heart, a contemporary Tibetan Buddhist master shows us how to change our self-centered attitude and develop concern for the well-being of others. He teaches that when we acknowledge our own wish for happiness, we realize that all beings wish for the same. With a broader perspective, we can develop the strength to extend gratitude and kindness first to those we love, and eventually to everyone. In his warm and informal style, Rabjam offers accessible Buddhist teachings that will appeal to anyone who would like to find more meaning in life. Based on classical Tibetan teachings, his commentary is fresh, humorous, and sharply insightful. Here is a modern Tibetan teacher who appreciates the challenges of living in today's world. The Great Medicine will help contemporary readers draw on ancient teachings to find their way to wisdom, freedom, and joy amid the struggles of real life. Love The Great Medicine That Conquers Clinging To The Notion Of Realit? Subscribe to Read More to find out about similar books.